Ironically, the article was published on the same day as an announcement about this year’s “Dive In,” an international festival for diversity and inclusion in insurance, which was originally launched in the London market and has been embraced by the insurance industry across the globe. Lloyd’s and the Lloyd’s Market Association commented on the article and condemned the continuing existence of sexual harassment. “Lloyd’s has worked really hard to put the broadest inclusion agenda at the center of everything we do,” said Lloyd’s CEO John Neal, in a statement. “No one should ever experience harassment of any kind at work and it is distressing to hear that this is still happening. We take it extremely seriously and will be talking to the Lloyd’s market to ensure that we stamp out these inappropriate behaviors,” Neal emphasized. 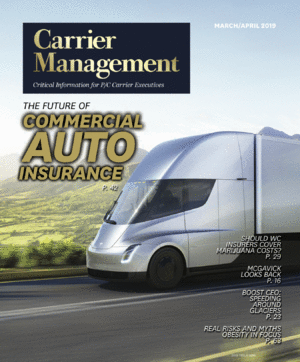 Beale spoke to Carrier Management about Lloyd’s D&I efforts in 2015. Related video: “Inga Beale: Inclusion at Lloyd’s.” She spoke about her own experiences with harassment and hostile work environments prior to her Lloyd’s tenure, detailed in the Bloomberg article, during the IICF Women in Insurance conference in 2013. Related article: Inga Beale: The Backstory of Lloyd’s Incoming CEO. “Sexual harassment is simply indefensible in any workplace and all instances should be dealt with swiftly and appropriately. We, like all other industries facing this issue, must continue to deal with any reports of harassment, head on,” said Sheila Cameron, CEO of the Lloyd’s Market Association (LMA), which quickly issued a comment after the Bloomberg article was published. (The LMA represents the interests of the Lloyd’s community). The press release said the success of Dive In, shows “the overwhelming appetite for practical events that enable the insurance sector to translate awareness of the business case for diversity and inclusion into action.” The first festival was held in London in 2015. More than 30 countries are set to participate in this year’s event, with 9,000 attendees.